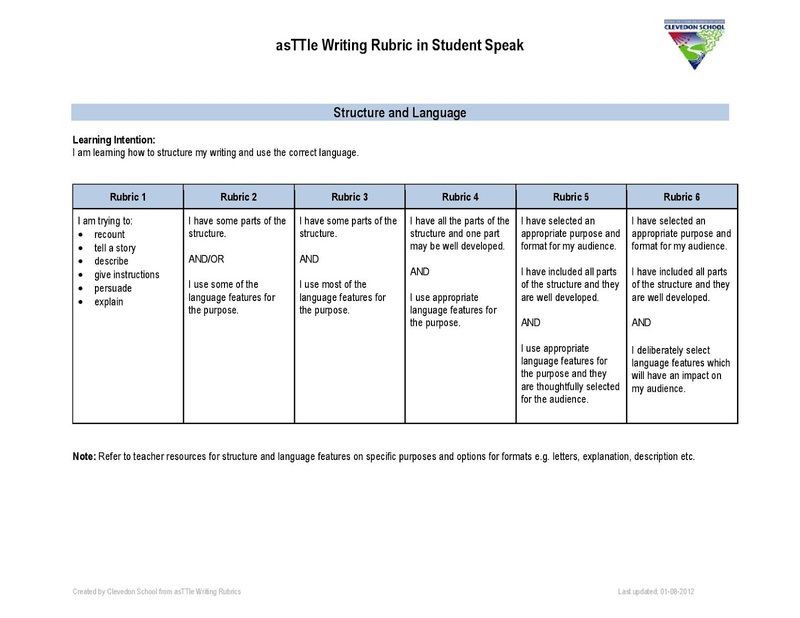 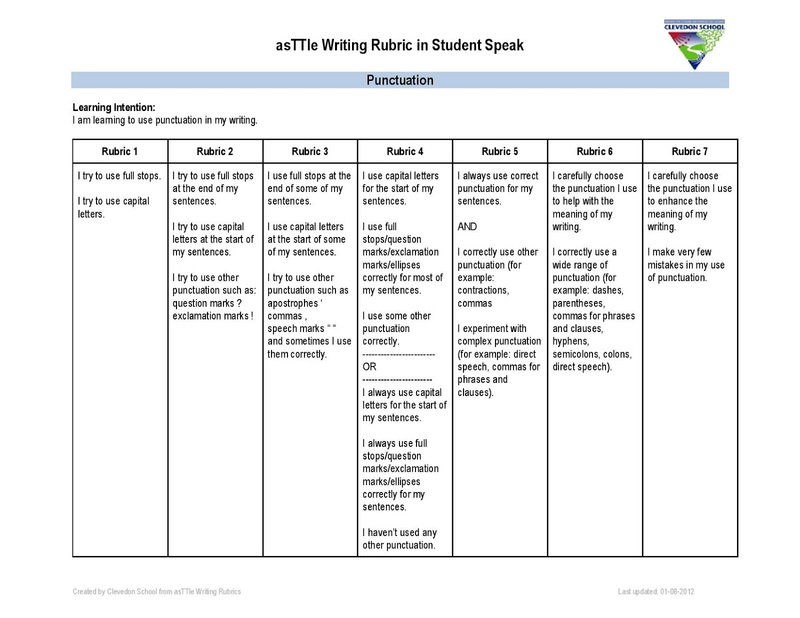 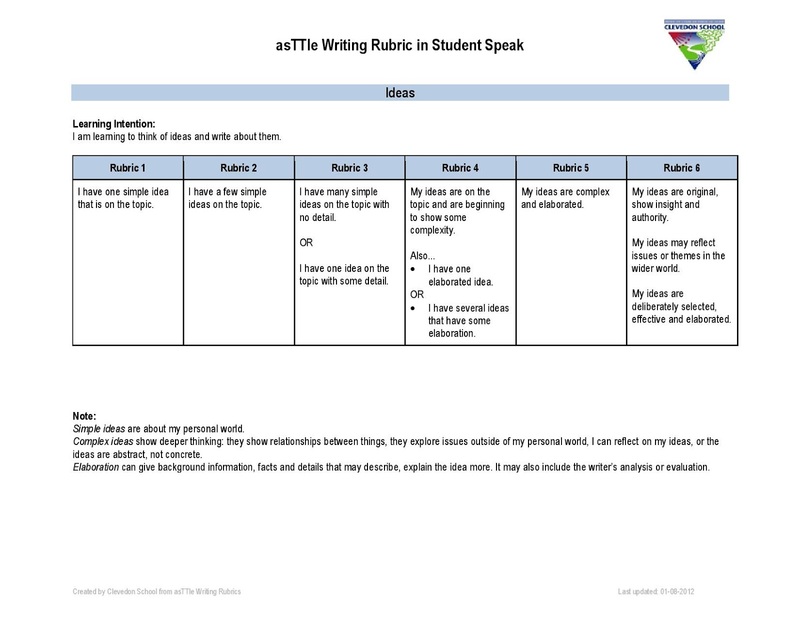 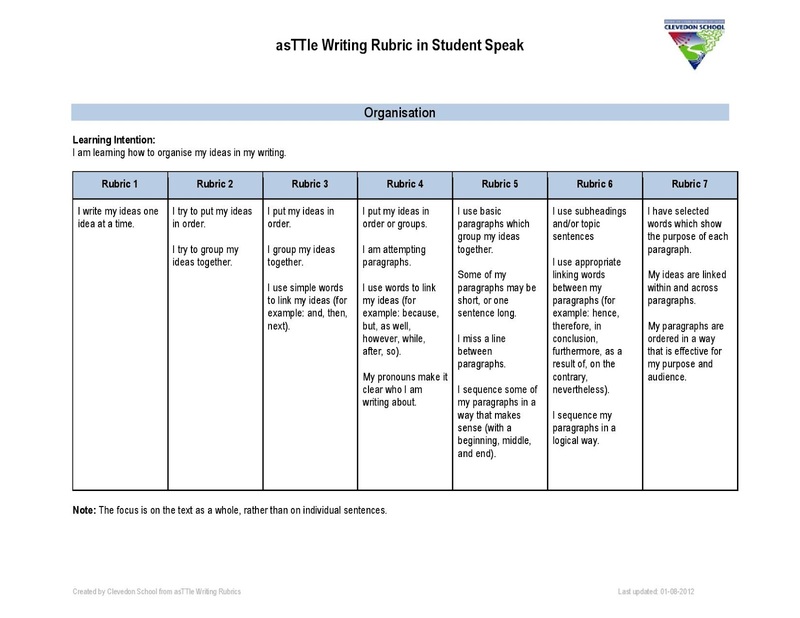 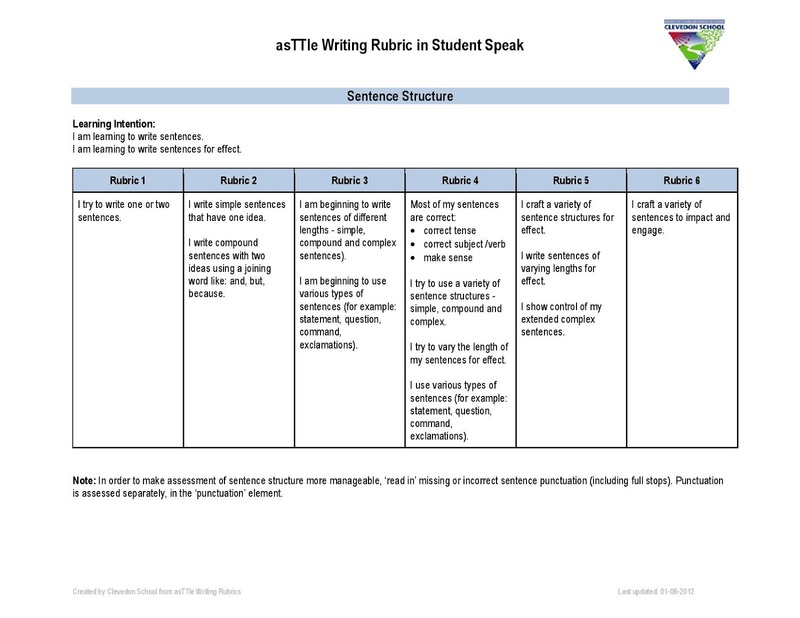 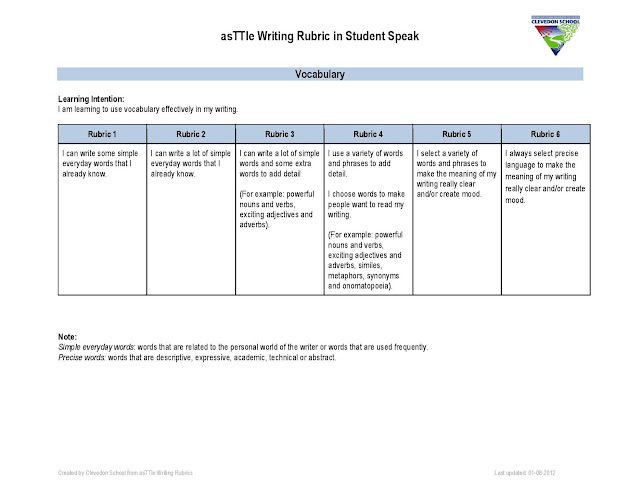 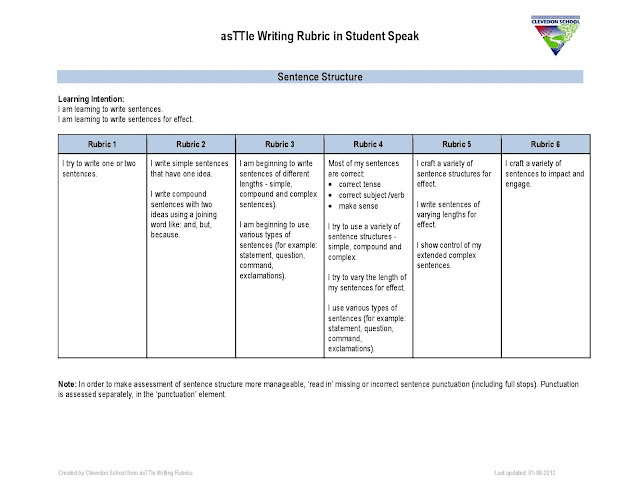 Over the weekend I have been chatting with a friend who was talking about asTTle writing tests and rubrics and also how it is broken down. I think if I can unpack this for my students I will be able to really focus on improving certain parts of my students writing and maybe my using a mainstream approach I will be able to get some ideas from others teachers in my CoL. My new thinking is now around looking at what my students are really struggling with and also what they enjoy. 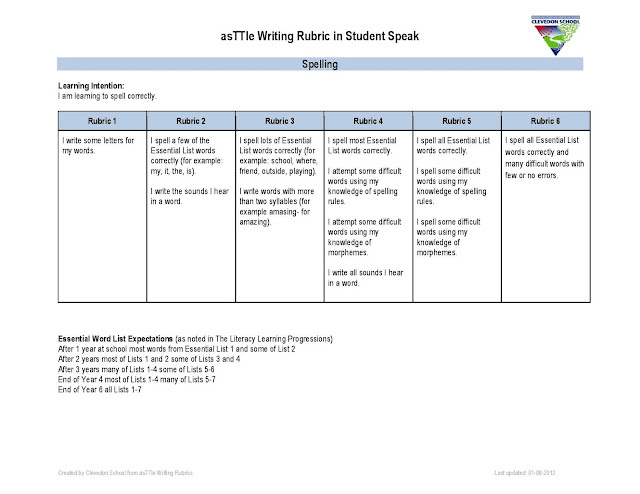 If we can work on this deficit model hopefully I will be able to see some shift on this marking rubric. I am using looking at Ideas, Structure and Language, Organisation, Vocabulary, Sentence structure, Punctuation, and Spelling. 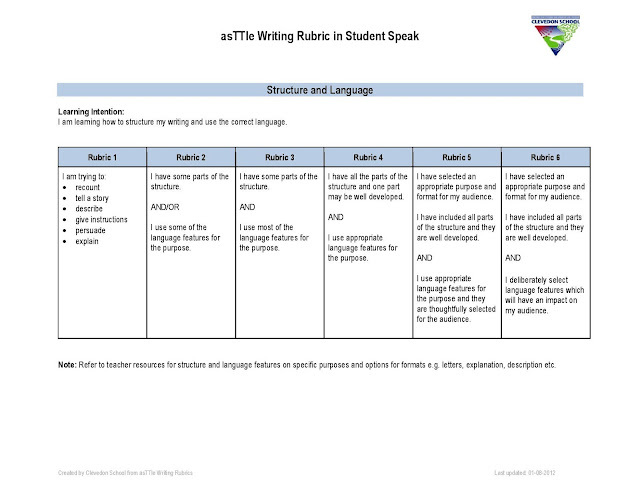 I have been looking at Clevedon Schools Rubric which has given lots of ideas of what I can do with my students to improve.